Inner-Self Development is one of the principal concepts that Reiyukai proposes to the society. In order to obtain significant inner-self development, Reiyukai advocates the importance of improving one’s relationship with their parents and ancestors. Through the daily action of honoring your ancestors and nurturing your relationship with them, one can realize the good aspects as well as the aspects that need improving upon within themselves. The inspiration that brings change into the people are the actual experiences that each person can obtain through the practice. Furthermore, Reiyukai provides an opportunity to share personal experiences with other members to discuss and analyze, so that we may learn from each other’s experiences. The public is welcome to attend the gatherings that are held at the Reiyukai facilities twice a month. 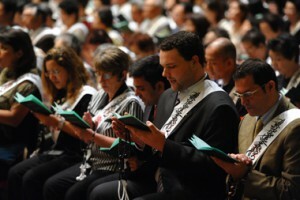 Reiyukai also organizes intensive workshops to discuss how to improve one’s life through the practices of Reiyukai. The Reiyukai Youth Group Society was founded in 1954 by the co-founder of Reiyukai, Mrs. Kimi Kotani, with the purpose to cultivate the young generation who would contribute for the construction of world peace and sustain the future of Japan. The Youth Group Society encourages all the young generation to apply the “Bodhisattva Practice” on a daily basis to live and create a productive life as well as become someone who can contribute for the sake of society. Today, members ages 13 to 39 years old belong to the YGS and are actively involved to become a better person, create a better family, society, community, nation, and world. Some of the activities organized by the YGS are “Youth Leadership Training Seminars at Mirokusan,” “Youth Gatherings,” “Reiyukai Founder’s Peace Commemoration Tower Visiting Practice at Shichimenzan,” “Myoichi-Kai Flower Festival,” and many more. 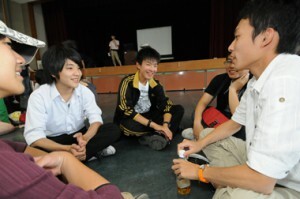 Reiyukai’s social welfare activities consist of not only providing aid and financial support, but also focus on the root of human existence, acknowledgement and respect of each other’s viewpoints, covering each other’s weaknesses, growing harmoniously together thereby support each other’s precious life actively and independently. Reiyukai’s social welfare activities do not separate people in groups of “people who act” and “people that receive.” The fundamental idea is to see the “life” and show compassion for each other. The initiatives for the early days of Reiyukai’s social welfare activities were taken by Mrs. Kimi Kotani, co-founder of Reiyukai, where the Kunitomo Fujin Kai (Nation-Friend Women’s Auxiliary) did a variety of voluntary activities such as visiting welfare institutions, cleaning public facilities, and planting trees. Since then, Reiyukai has been actively involved with a wide range of social welfare activities. Today, Reiyukai focuses on social welfare for handicap people. Some of the activities are operating the “Reiyukai Hoyu Braille Library,” “Job Training Workshop for the Handicap,” “Handicap Volunteer Training Workshop,” and promote the activities of “Sansha no Kai (A Triangle Support Group that consists of the Handicap, the Family, and the Volunteers/Caretakers)” in different locations.